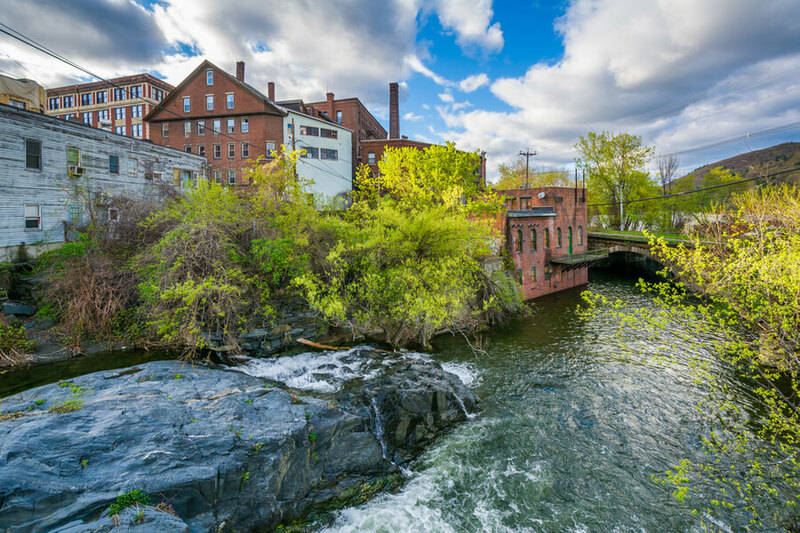 Located in the town of Brattleboro, Vermont, The Brattleboro Retreat is a non-profit and private specialty center for children, adults, and adolescents looking to overcome substance addiction and mental health problems. The hospital was established in 1834 and since then provides its treatment services to people from all walks of life. The facility offers several treatment services for conditions ranging from anxiety, alcohol dependence, depression, opioid (cocaine, benzodiazepines, etc.) addiction, and other kinds of problems with the help of an accomplished clinical staff consisting of psychiatrists, mental health professionals, counselors, nurses, physician assistants, social workers, and many more. The hospital utilizes a team approach to care and always puts the patients at the center of the team. Among the levels of care offered, the center provides various programs including an inpatient program for adults and adolescents, specialty programs (such as the adult inpatient LGBT and emerging adult programs), an intensive outpatient day program, an outpatient program, and an addiction treatment program for children. Additionally, the hospital boasts of a family-focused and patient-centered environment. In most cases, families and loved ones are allowed to visit patients seven days a week and for the residential programs, parents loved ones, and guardians are to arrange campus passes and visits through the client’s therapist. Located in the beautiful area of Southern Vermont, the facility has a college campus feel with several outdoor and indoor recreational facilities. A primary lodging option at the center called the Ripley Building has 50 private, individual bedrooms to house the residents and also has a dining hall where residents are served meals thrice daily. The meal menu usually consists of tasty desserts, pizza, soups, salad bar, and much more. Another one of the residential facilities is called The Inn. This center, a now refurbished farmhouse from the late 1800s, can accommodate residents in single or double bedrooms. Residents will enjoy the serene setting of the meadows and hills and also a homemade breakfast each morning of their stay. The hospital offers inpatient treatment programs for adolescents and adults. The adolescent program for persons between the ages of 12 and 18 offers specialized treatment, crisis stabilization, and aftercare planning while the adult program provides 24/7, short-term care for adults looking to overcome mental health and substance addiction issues. The hospital offers a Partial Hospitalization Program at the facility’s Birches Treatment Center designed for adults. The program serves as a good “step down” program following the completion of an inpatient program. Additionally, this program offers affordable housing on campus for persons who are not willing to drive back and forth from treatment. Clients in this program are also involved in daily group meetings. The hospital offers an outpatient program at the Anna Marsh Clinic. The program is tailored for children, adolescents, and adults and offers outpatient psychotherapy services with the help of experienced therapists. Brattleboro Retreat cost approximately $5,000 for a two-week partial hospitalization program at the facility, but this price is subject to change as it is greatly dependent on the type of treatment and level of care a client requires. The facility is available to work with both in-network and out-of-network providers, however, Medicare and Medicaid are accepted. Clients are advised to contact the facility for more information concerning payment, insurance verification, admission, and more. The facility is accredited by the Joint Commission and the Vermont State Department of Education. The facility is very LGBT friendly and as such offers specialized inpatient treatment to gay, transgender, and bisexual individuals. Creating an LGBT-positive setting, clients will receive treatment in an environment that is both supportive and safe. The organization houses its LGBT clients in a specific wing, different from the other wings but on-site. This wing offers one double room and thirteen single rooms in a beautifully remodeled wing. Family therapy or programs are not offered at the facility, but family members can get updates on the patient’s progress if such client signed a release of information upon admission. If at all a private meeting with the counselor/therapist, client, and family member is required, then the staff can help plan and coordinate this activity with the consent of the client of course. In entirety, the facility offers a wide range of comprehensive, well-rounded, and structured programs that are aimed at providing support and helping individuals begin their journey to long-term sobriety. Clients seeking a facility fully equipped with amenities, 12-step treatment methods, and a strong dual diagnosis program will find Brattleboro Retreat to be a good option. Peter is licensed to practice Clinical Social Work and has worked for the facility for over 40 years. Prior to holding the position of Vice President, he served in different capacities within the organization such as Director of Access and Evaluation, Clinical Director (Adolescent Services), Utilization Management, and more. In addition to his responsibilities, he still attends to outpatient clients and provides clinical supervision. Meghan holds a Bachelor’s degree from the University of Phoenix majoring in Management and a Master’s degree from the same university as well, but in Nursing with a specialization in Leadership and Management. She also went to Manchester College and New Hampshire Technical Institute, where she gained an Associate of Science degree in Nursing and Radiologic Technology respectively. David has over 20 years of experience working in a healthcare setting and healthcare information technology leadership environments. He joined the facility in February 2017 and prior to that, served in Hospital for Special Surgery, New York City as the Senior Director of Information Systems.